Students of JSTARC Kolhapur receive Taekwondo Colour Belt exams at a grand ceremony. 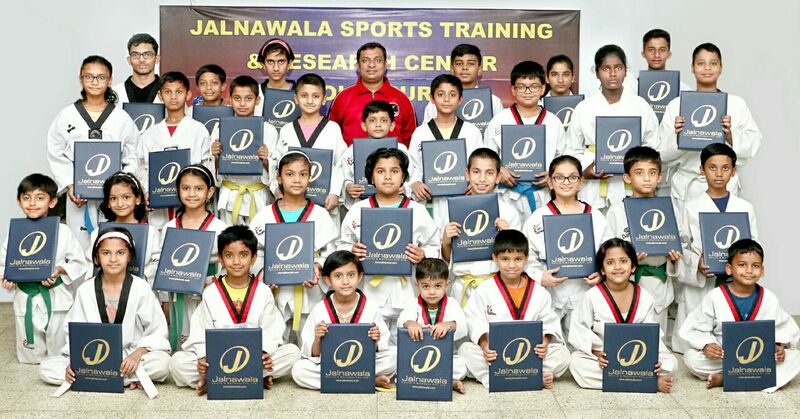 The students of JSTARC Kolhap ur who had successfully attempted the colour belt examination received their belts & certificates in Taekwondo. The exams for the same were conducted on 25th February. 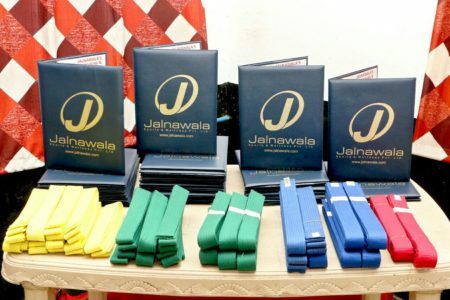 33 students were awarded yellow, green, green 1, blue, blue 1, red, red 1belts. The ceremony was held at the Late Baburao Bhausaheb Nigade Samaj Mandir in Takale, Kolhapur. The students were proud to receive their certificates. Present at the ceremony were students, parents & instructors of JSTARC Kolhapur. JSTARC congratulates the successful students & wishes them good luck for a bright future in Taekwondo.